Welcome! While I'm not really worthy of hanging with this sewlebrity line-up (I'm looking at you, Mister Domestic. ), it is a great pleasure to be included in the Tallinn Fabrics Blog Tour. From the moment the fabric arrived, I thought, "Well, gee! This looks good here!" Now, I don't know if you have any 3 year olds in your life, but I do and let me tell you, they can be a bit...let's say....challenging to work with. So while I'm trying to showcase Jessica's debut AGF collection, my daughter is mostly interested in me taking pictures of her feet. I actually count myself lucky that she wears what I make these days. She literally refused to wear anything I sewed for her for 2 years. Pattern- Fawn Lily by Willow & Co. The Magija Olive and Zirkusbau Candy paired nicely with a bubblegum pink slubby chambray from my stash. 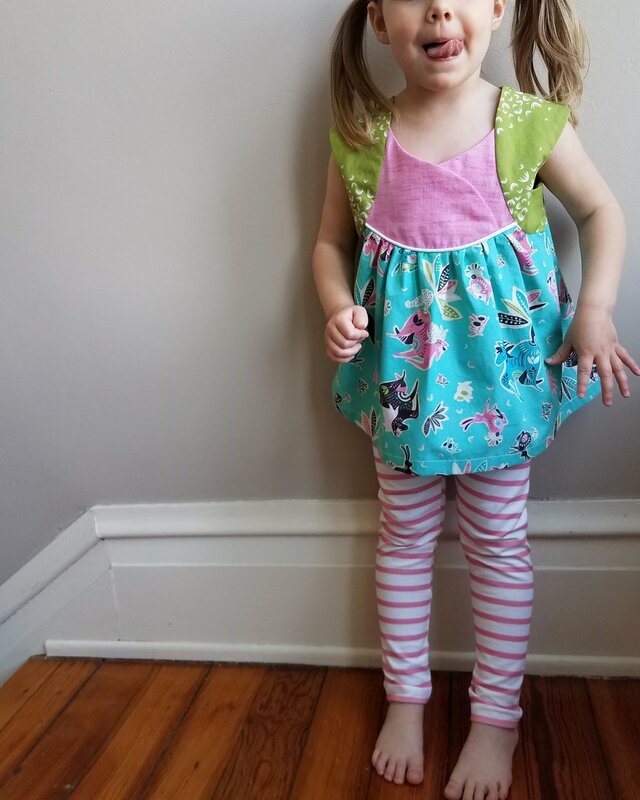 The playful and lively mix of colors are perfect for my spunky punk! This was my first time sewing a Fawn Lily. I love the lines of the cross-over front. It's an epic burrito situation to get that second sleeve on though! It turned out a tad too big for her, but she's not getting any smaller. Modeled with coordinating mama-made leggings. While the Faabula colorway is the polar opposite of Fairytale, it also looks pretty awesome on my sewing room floor! 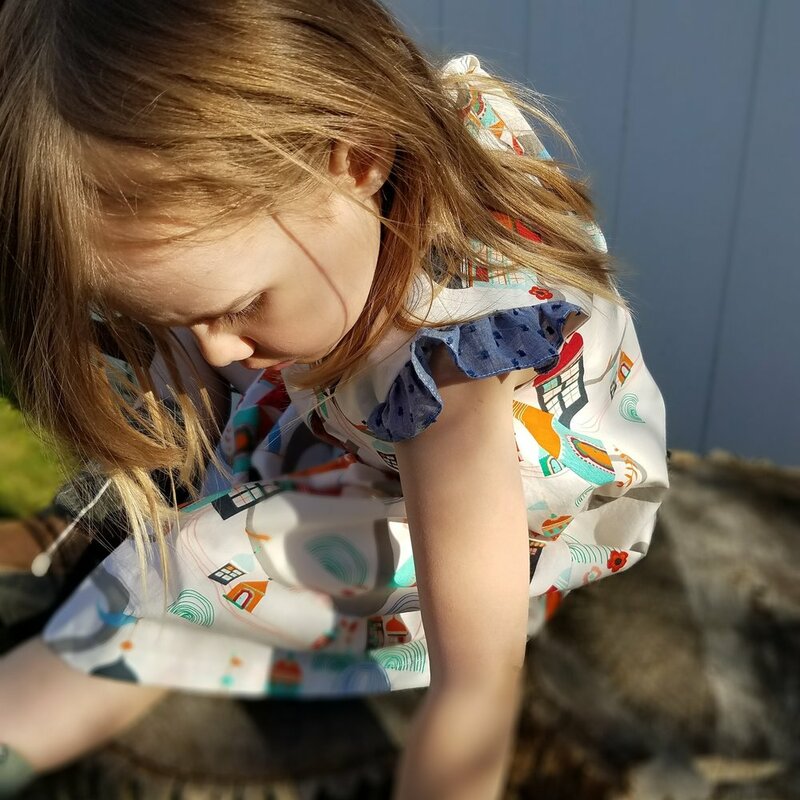 We took her "magical castle" dress, sewn in Village Meander with a pop of Magija Pumpkin, on all sorts of backyard adventures one afternoon. And fence posing, of course! Well, I certainly wasn't going to let my kid have all the Tallinn goodness. I sewed something for myself too. 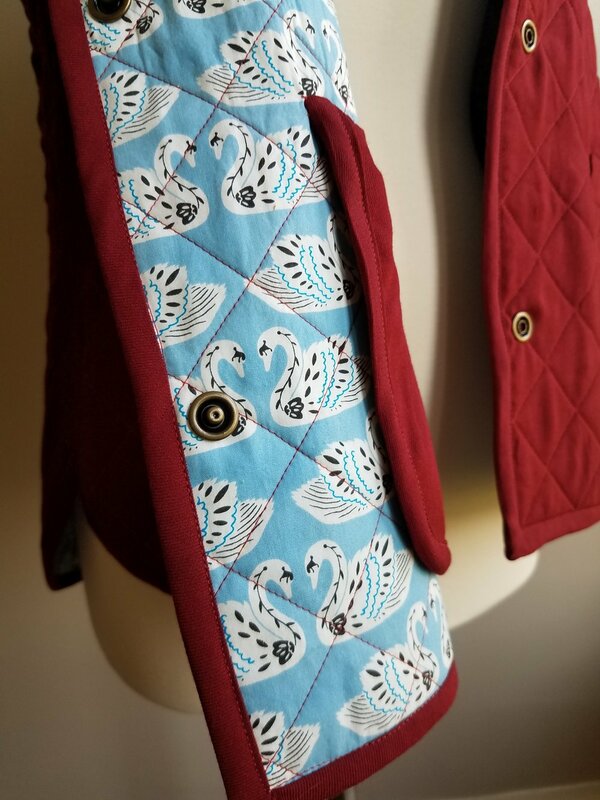 The Baltic Swans Sky compliments this rich red rayon twill so nicely and it quilted up like a dream. 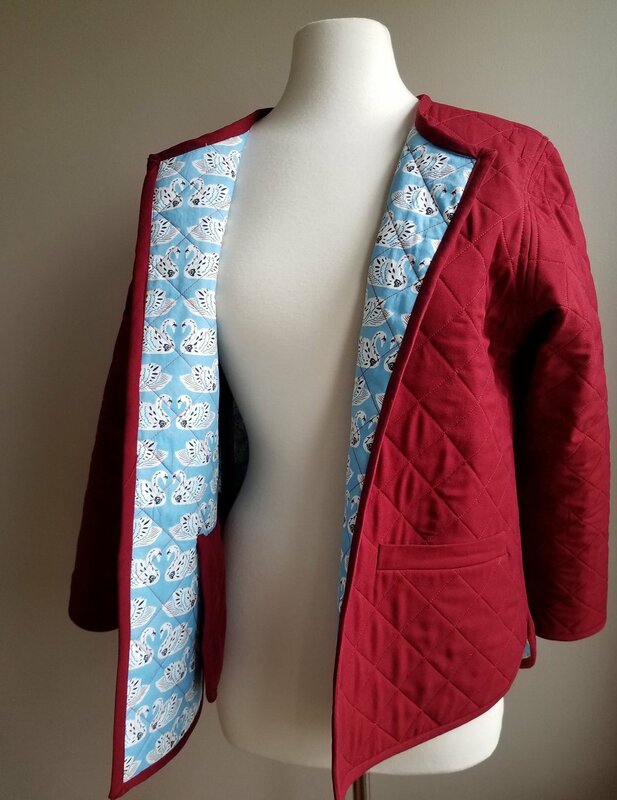 I'm going to drop a few pics here and leave you with the promise of a full post devoted to my Tamarack Jacket (soonish, maybe) as it was a pretty big sew, I'm talking 3 bobbins big, and I've got plenty to say about it. Big congratulations, Jessica! Thank you again for including me. I'm ridiculously excited to meet you at Quilt Market this week and I look forward to your future collections!